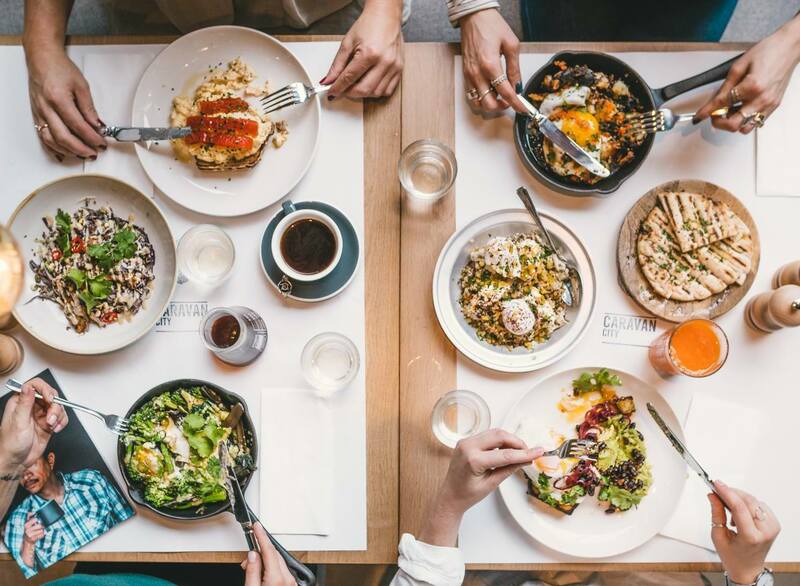 It’s no secret that Londoners love a boozy breakfast sesh, but if you've got a healthier version in mind, then you're in luck because we’ve found the best places in the capital for you to get your weekend brunch fix. Plant-based, gluten-free, sugar-free—whatever you're searching for—one of the below cafés are sure to cater. The hard part is over to you — choosing from the menus! Bringing Down Under dining to London, this Aussie-owned café collection keeps it real, calling a fancy bacon roll… a “Fancy Bacon Roll”. But what they lack in elaborate dish names, they make up for in creative and healthy meals. And we've got just two words for you: bottomless brunch. Clear your afternoon, pull up a chair, and order up their Healthy Start—celeriac toast, avocado, poached eggs, broccolini, and tomatoes—and don't leave without trying their signature activated charcoal sourdough. 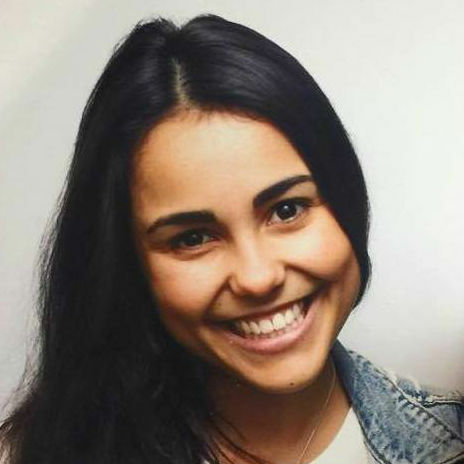 Fitt Tip: Little Green, Scarlett Green, Beany Green, Darcie & May, Timmy Green, and Peggy Jean make up the rest of the collection and are spread across London, so you're always just a hop, skip, and a jump away. You’ll see the queue before you smell the food, but it’s worth hanging around to get a spot at this Clerkenwell café. Owned by a nutritionist, the menu is refined sugar- and gluten-free and packed with flavorful options. Your friends can still order a mean stack of GF pancakes, but it’s the healthier options (we vote the Aprés eggs with smoked salmon followed up with a shot of organically-grown wheatgrass), that deserve a breakfast bravo. If the smell of coffee from their on-site roastery doesn’t wake you up, their food sure will. 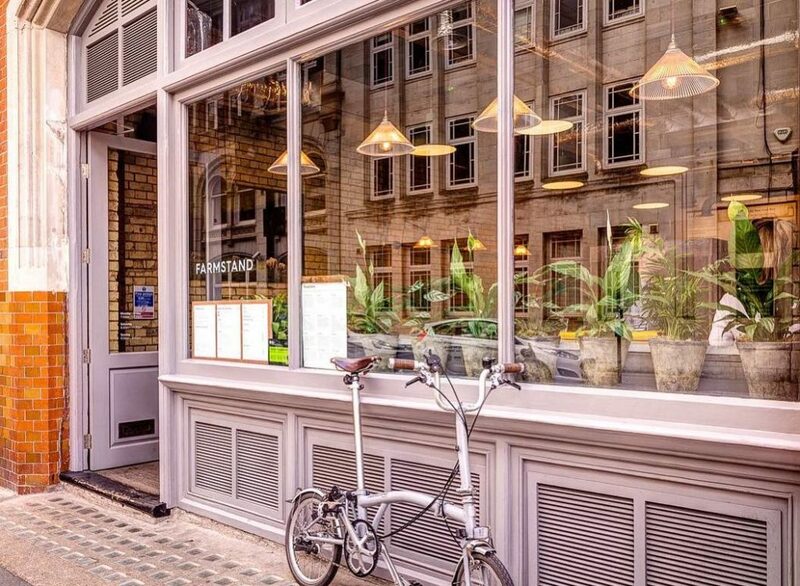 Gracing King’s Cross, Exmouth Market, Bankside, City and Fitzrovia with “well-travelled” food (the majority of it being of the healthier variety), are the guys at Caravan. And let us just tell you, their Edamame Fritters with baby spinach, field mushrooms, fried duck egg, and red miso butter are a 10 out of 10. 100% raw vegan, 110% tasty. 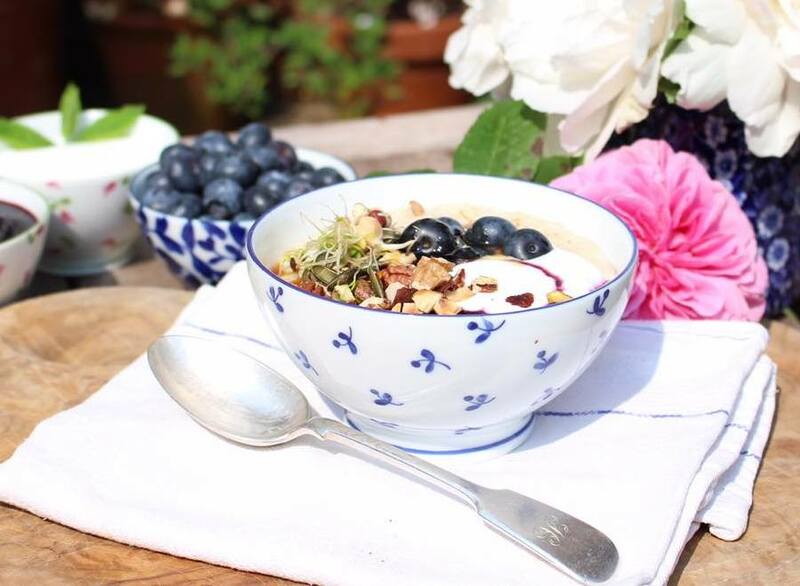 This eatery in Covent Garden and Islington is your go-to for healthy brunch food served up in a friendly atmosphere. Both sites have awesome seasonal menus, communal seating (so feel free to go alone), plenty of natural light, and so much greenery that you’ll instantly feel at one with nature. 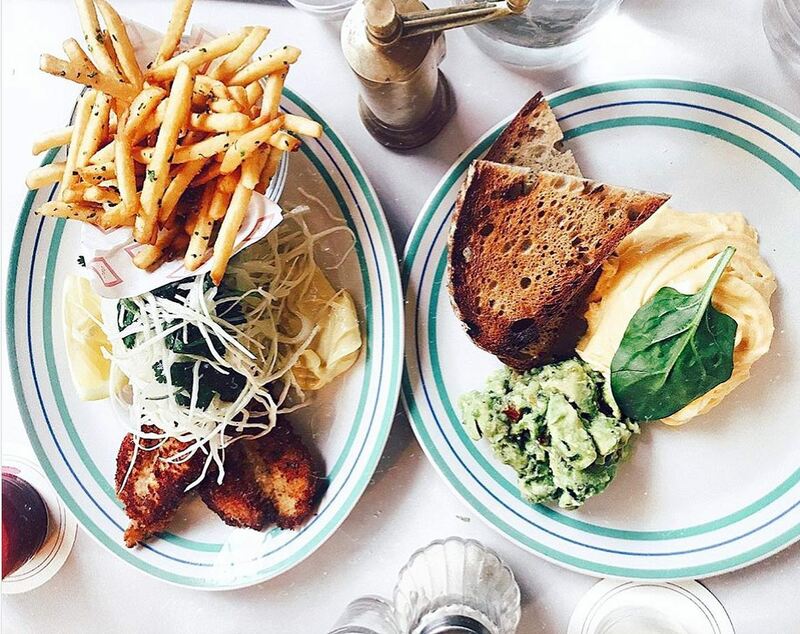 It’s basically a bruncher's paradise. 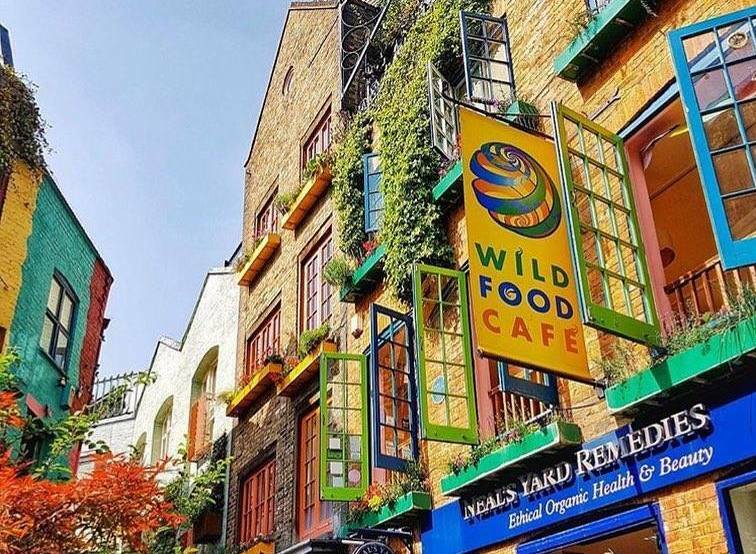 When it comes to Mildreds—one of the first vegan/vegetarian restaurants on the London scene—you can’t go wrong. Their menu is stacked with healthy options (including gluten-free eats), so your body will thank you just as much as your taste buds will. Think Pistachio & Pecan Nut Granola, Vegan Chick'n Roast, and even a big brunch option that’s a riot of colours. Find them in Soho, Camden, King’s Cross, and Dalston. 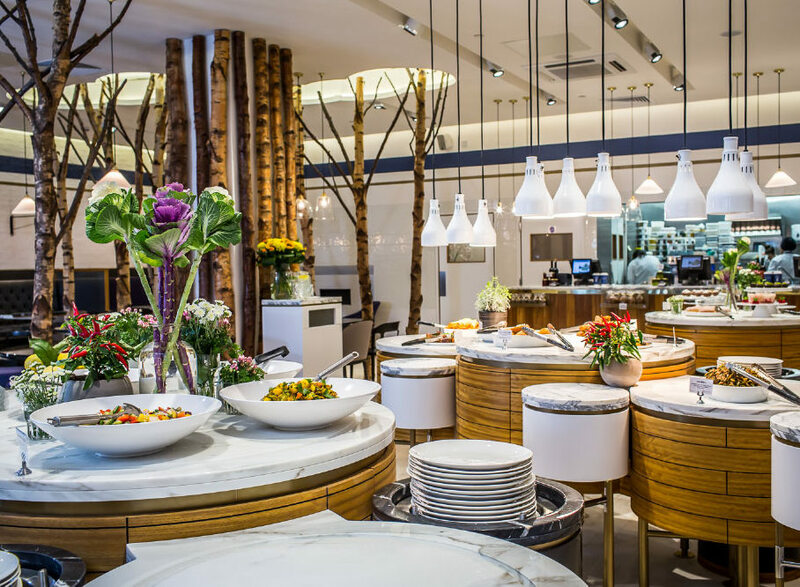 Ethos is a self-service veggie buffet in the heart of Central London handing a healthy morning to you on a silver platter (literally). 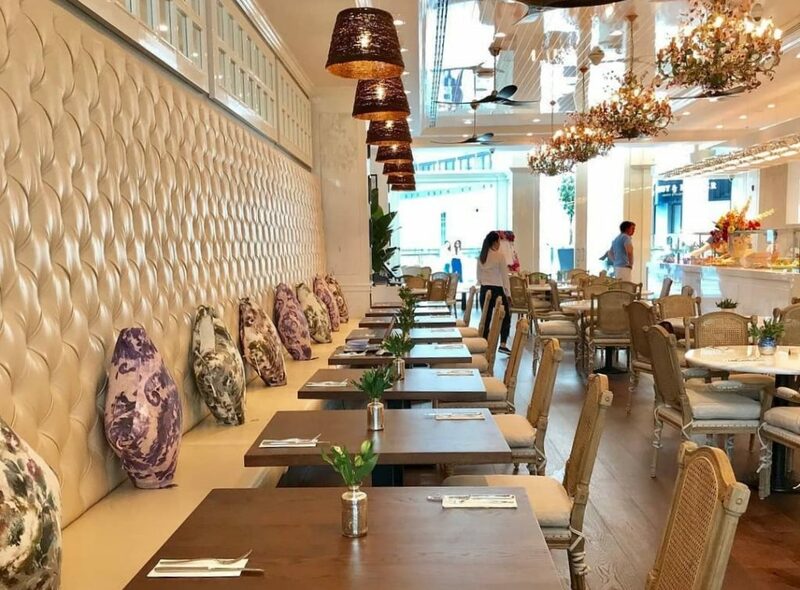 At this Fitzrovia spot, you’ll find a Sunday brunch menu filled with international vegetarian dishes just waiting for you to dig into. 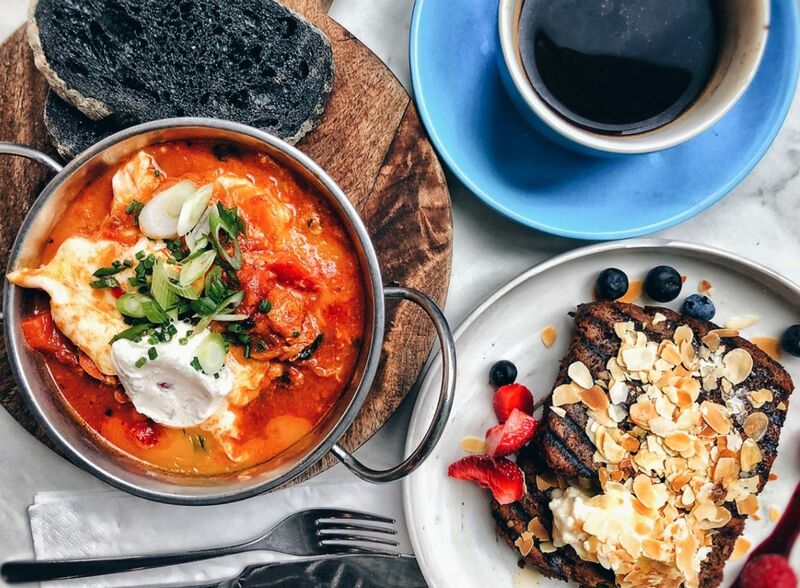 If you're having trouble deciding (it happens), we recommend the shakshuka with tofu. Fitt Tip: you pay for your food by weight, so easy on the servings. The crew at Good Life Eatery are all about keeping things simple, and when a menu is as epic as theirs, we’re on board. 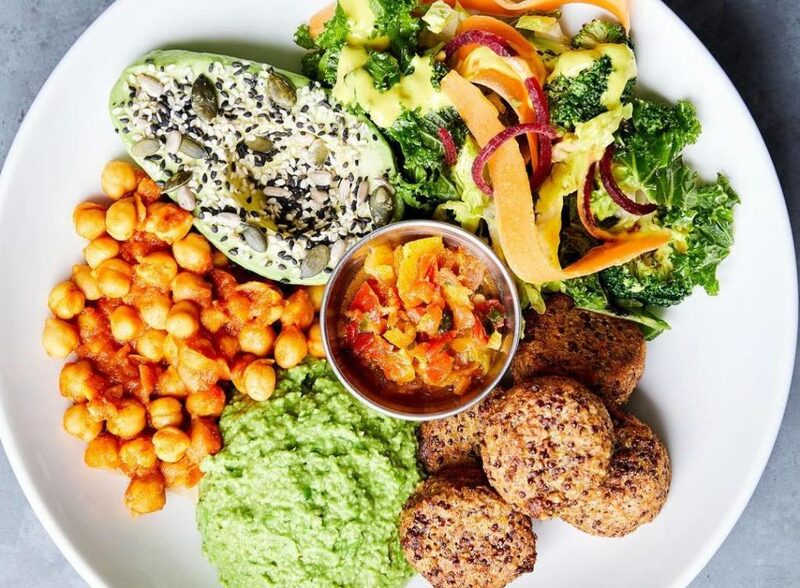 Their St John’s Wood, Marylebone, Belgravia, Notting Hill, and Chelsea cafés are treating hungry brunch-goers to avocado chilli toast, salads packed with superfoods, and loaded wraps and sandwiches that don't skimp on flavor. There are even options for meat-eaters, so it’s the perfect Sunday meeting spot — just make sure you’re the first to get your hands on their refined sugar-free baked goods (we recommend the peanut buttercups). 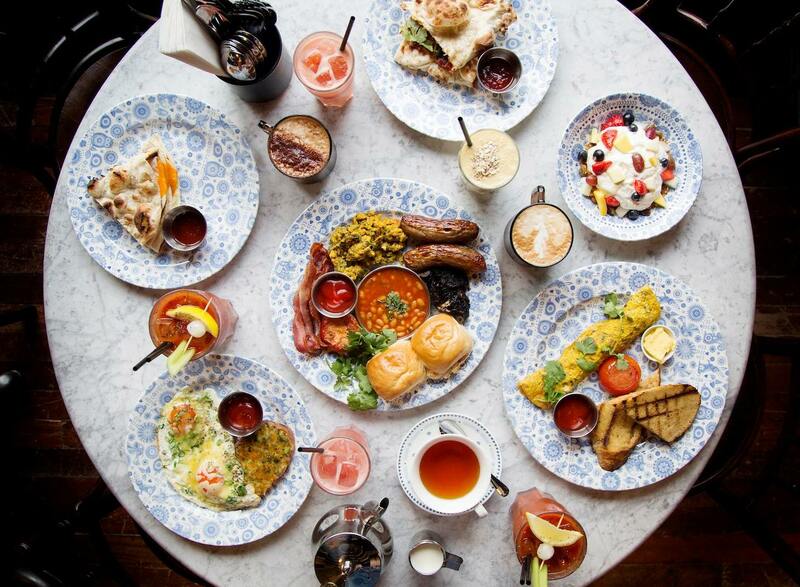 Brunching at Redemption’s restaurants in either Shoreditch, Covent Garden, or Notting Hill is never a bad idea. The food menu is sugar-, wheat-, and dairy-free, and their drink menu is alcohol-free. Can it get any healthier than that? Probably not. Stop in and try their Sweetcorn & Red Pepper Pancakes or Marinara & Brown Rice Penne Pasta (yes, pasta for brunch is a thing) and you’ll see why people talk about this place so highly. Daylesford’s menu was created by nutritionists, so you can’t go wrong here even if you tried. Full to the brim with organic, gluten-free, and healthy options, the only problem is deciding what to order. And despite being on the slightly pricey side, we’re pretty sure you’ll be won over by this charmer in Notting Hill, Pimlico, Brompton Cross, and Marylebone. 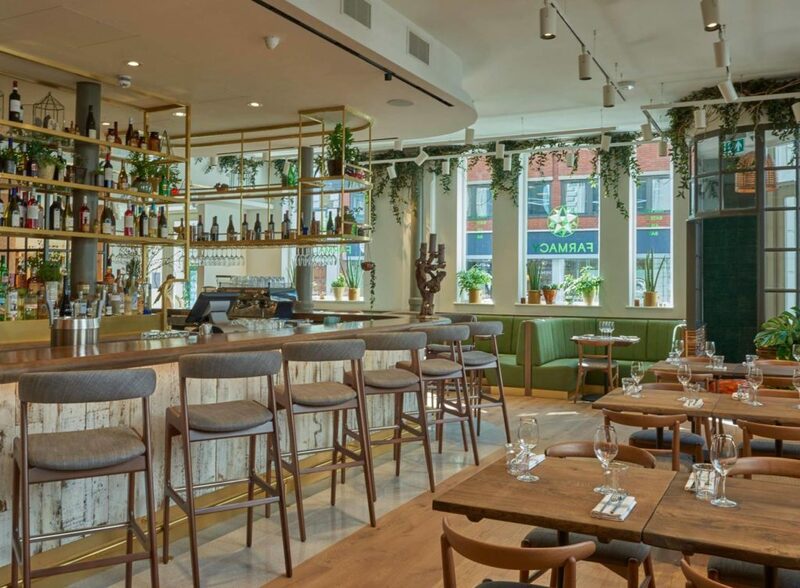 A very trendy concept with locations in Notting Hill, Chelsea, and Soho, Farm Girl serves up food that tastes even better than it looks. 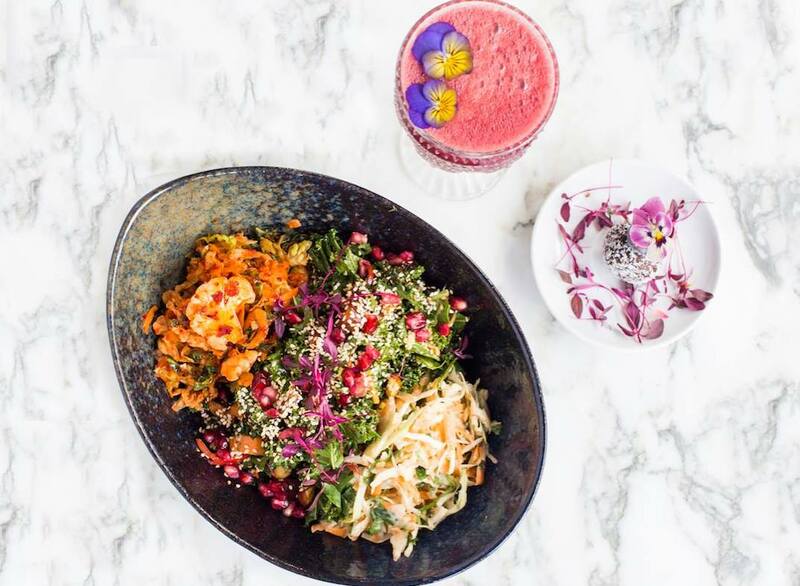 Specialising in healthy brunch dishes made with high-quality, sustainably ingredients, you’ll find omelettes, smoothie bowls, and all kinds of superfood goodness on the menu. Just make sure you don't leave without ordering their famous house-made granola. Oh, and come hungry! If you’re venturing out on a weekend morning with a group of friends and you’re feeling like really indulging, look no further than L’eto. Though, you should know that their jaw-dropping window display full of cakes and sweet treats doesn’t reflect their menu, which boasts plenty of better-for-you options. It’s a bit pricey, but being able to choose between Crazy Healthy Pancakes, a Tomato and Mozzarella Croissant, and eggs any style (including Benedict-style with roast turkey) is priceless. The café has branches in Brompton, Soho, King’s Road, Belgravia, and Mayfair. And when you don't want to leave the couch, your brunch can come to you; grab these guys on Deliveroo. Any café heading their menu with the saying “let food be thy medicine and medicine be thy food” has GOT to be good for you. 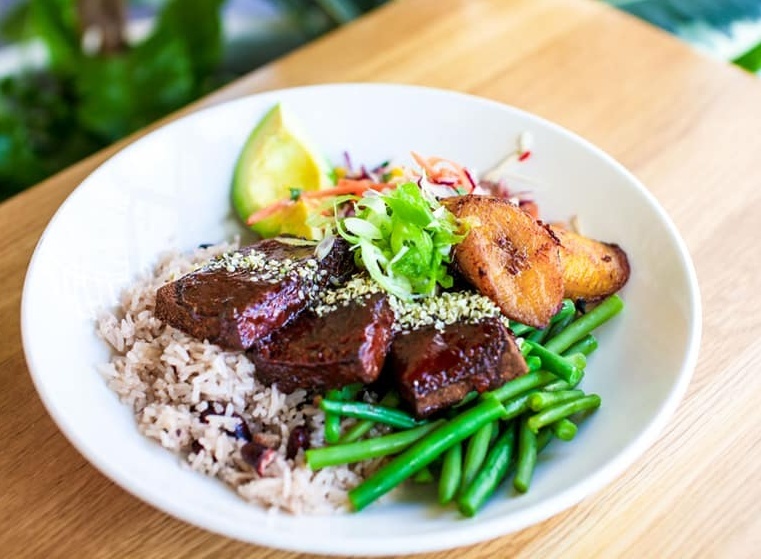 At this Notting Hill hot spot you’ll find delicious, plant-based dishes free from dairy, refined sugar, and additives. The Protein ‘Omelette,’ a chickpea pancake filled with roast butternut squash and avocado, is heaven sent, and any of their Probiotic Jars will definitely keep your stomach happy. Wash it all down with one of their Farmaceutical Syringe Shots and you'll be good to go. 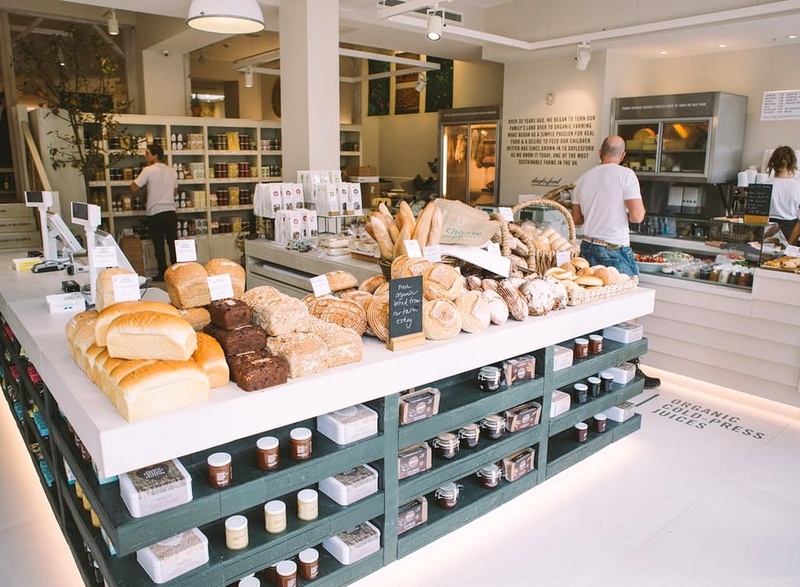 The folks at Farmstand in Covent Garden and Canary Wharf are committed to creating healthy, eco-friendly, and sustainable food. Case in point: you won’t see bottled water, they try to use compostable packaging materials, the menu is gluten-, dairy-, and added sugar-free, and everything is scratch-made. Settle in and choose from amazing breakfast dishes like multigrain or coconut porridge, smoked salmon and eggs, and more. No matter what you choose, though, it's guaranteed to be made with ethically- and sustainably sourced ingredients. 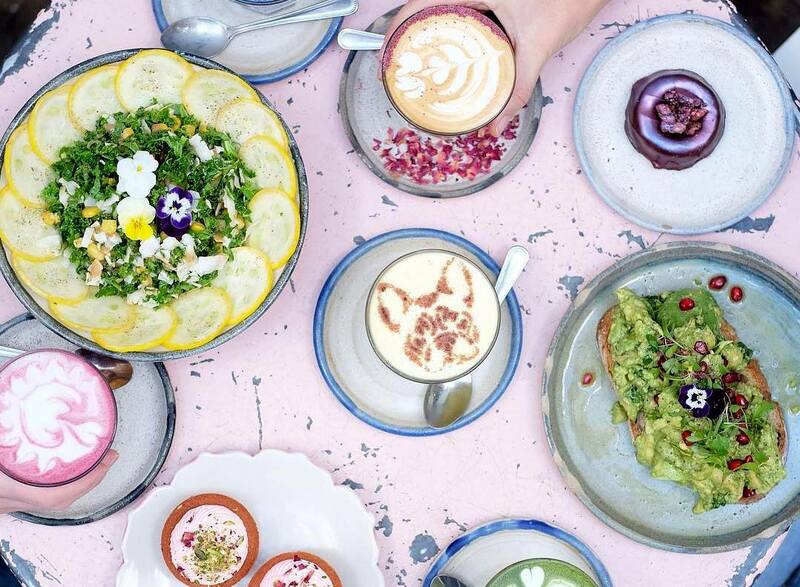 While many of London’s healthy brunch spots are gluten-, dairy-, and sugar-free, at High Mood Food, things are a little different. 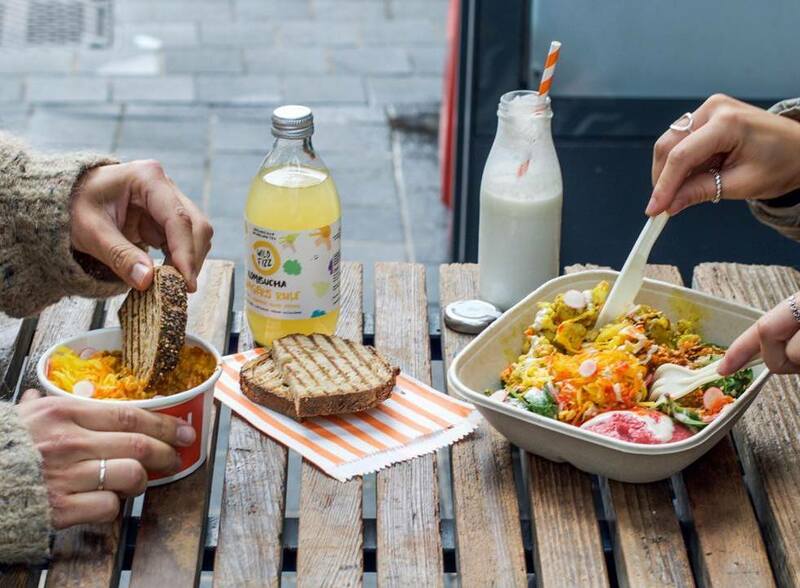 This Marylebone and Spitalfields Market spot keeps all types of food on the menu, but everything comes with a healthy dose of gut-loving fermented foods. Whether it’s kefir, kombucha, sauerkraut, kimchi, and sourdough, if it’s packed with good bacteria, you’ll find it at High Mood Food. So gather your meat-eating, veggie, vegan, pescatarian, and flexitarian buddies and head down to London’s ultimate gut-health deli. There’s lots on the menu to keep everyone in your crew happy. If you’re looking for a hearty and healthy brunch but fancy a little bit of everything, it’s time to check out Granger & Co. A midday meal at this Chelsea, Notting Hill, Clerkenwell, and King’s Cross spot will blow your mind, and that’s all thanks to its eclectic breakfast menu. Grilled Cheese and Kimchi Open Sandwiches, Green Oea and Dill Fritters, and acai bowls with vegan granola are just some of the mouth-watering dishes you'll find here. It’s not exactly brunch as you know it, but that’s what makes it SO good!